Bruce has offered photos to show what one guy with some help can do in his backyard - click on his link on the right to see more! Olson's quarantine pond - and a normal view of koi people. 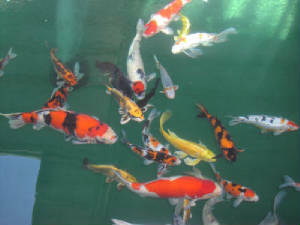 Some of Anderson's koi swimming in their indoor pond. 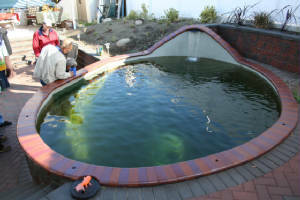 Gene & Phyllis Anderson's koi pond history - converting in 2016 to a swimming pool. 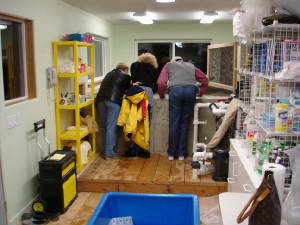 Gene & Phyllis are still active in NIKK, just without koi at their home. 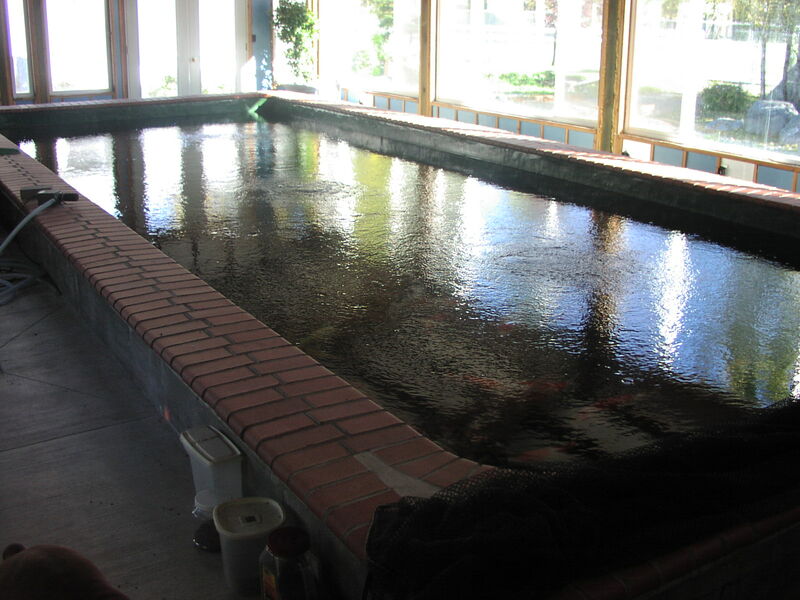 The Redneck Koi Barn pond.